This month has been pretty catastrophic on the love handles but wonderful for the taste buds. 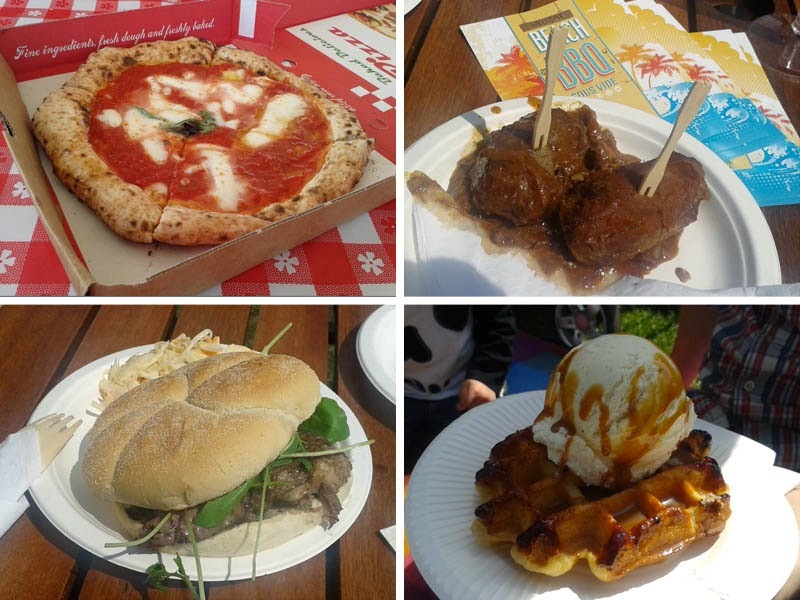 The biggest culprit has to be the Brighton Food Festival which ran from mid April. It was peppered with some phenomenal events, dinners and a heck of a lot of fun. Try and catch them in the next one! The Easter weekend was spent with a troop of friends down on Hove Lawns for the local food festival on Hove Lawns (the free one not the paid Foodies festival). The sun shone (sort of) and there were some brilliant stalls. I met TABL, a new supper club and food event listing website, tasted one of Boho Gelato's amazing cocktails (at 11am DONT JUDGE ME), sunk a very nice wine from the wonderful Butlers Wines, saw some of the live food stage, ate Moroccan food, a few Meatliquor sliders, back to Boho for some more gelato and a lot of other things that escape me now. Reads sort of like a gourmet Hungry Caterpillar huh? Easter itself (or should that be Eater) was a family event with my mum's amazing Easter pie as part of the antipasto, spaghetti alla chitarra, roast lamb of course, cheese and not one but three desserts. 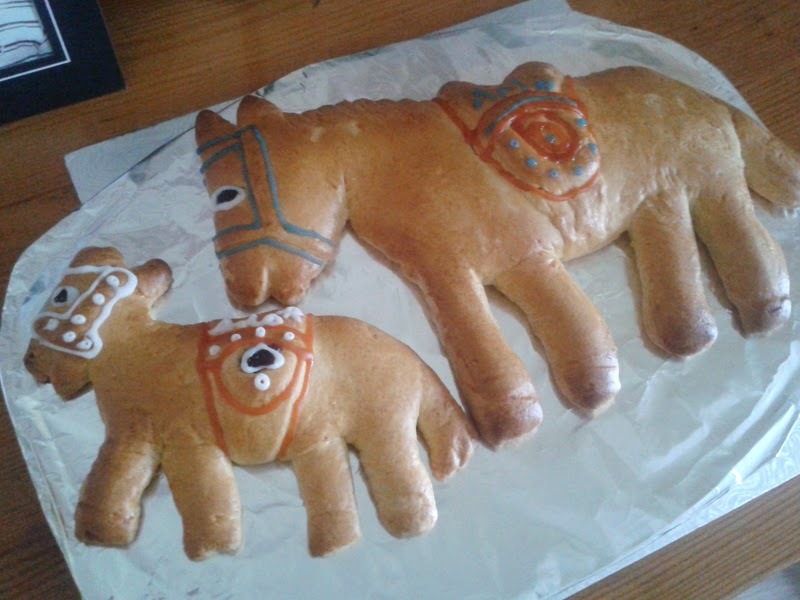 And the traditional biscuit horses made an appearance too. 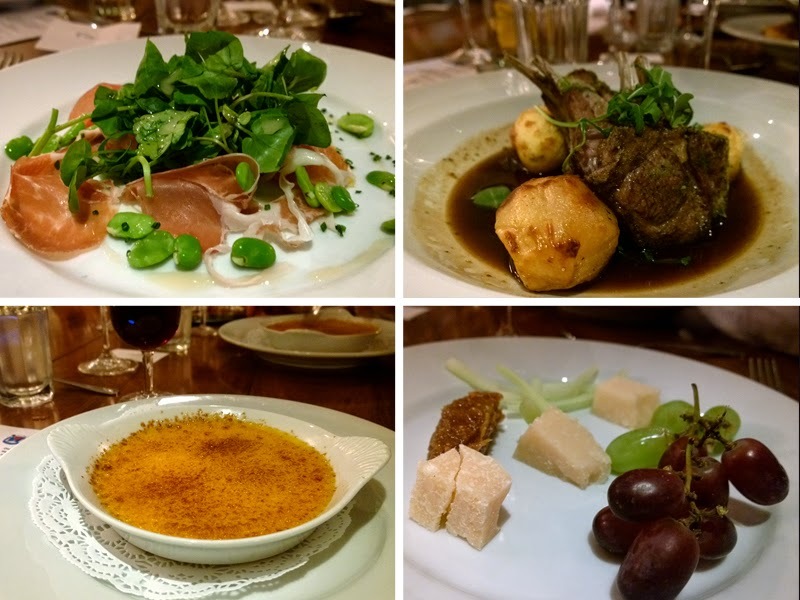 I attended the Discover the Origin dinner night at Hotel Du Vin which included wonderful produce from Protected Designation of Origin food regions like Parmigiano Reggiano, Parma Ham and some amazing protected wines too. 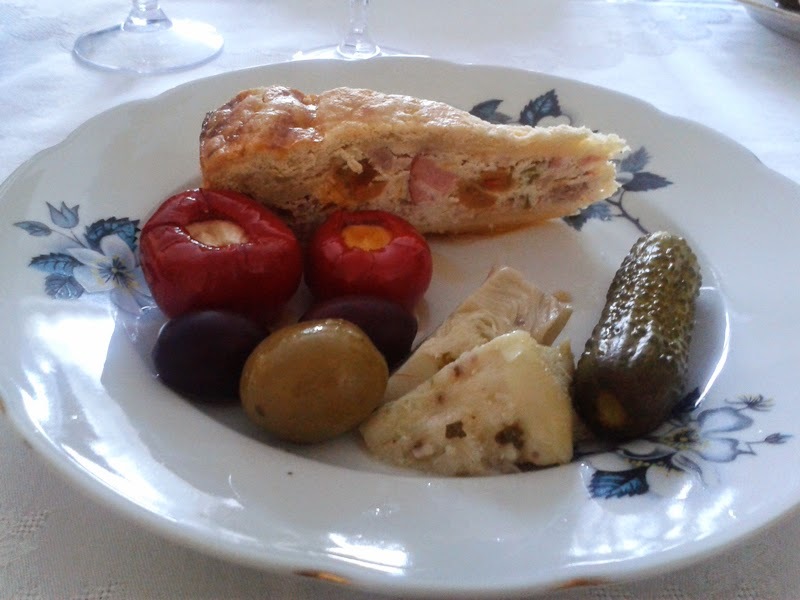 Highlights were the new to me white port (a lowlight the morning after though) and delicious red Bourgogne wine. We were entertainingly talked through the wines by HDV's head sommelier Zigmars Grinsberg and possibly the best wine speaker I've come across, Henry Butler from Butler's Wines who outdid himself in a sharp lilac suit with purple velour collar. 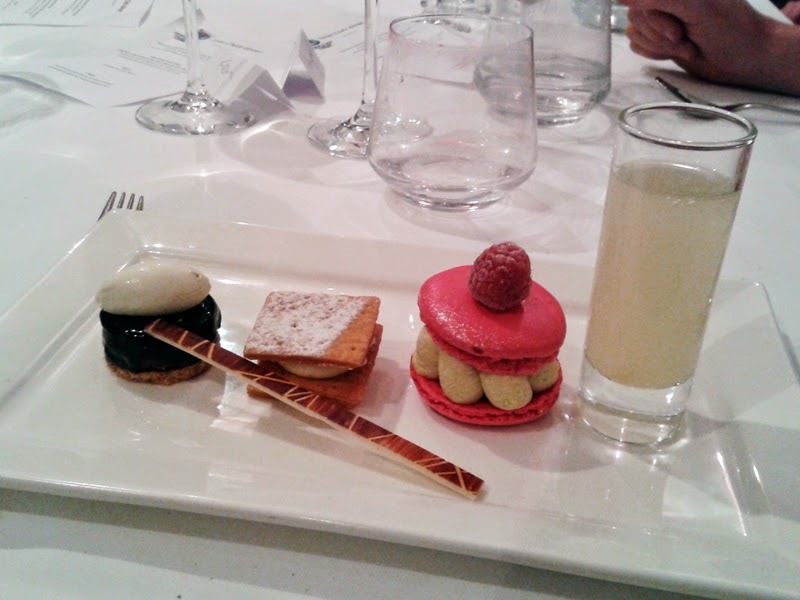 I think by far the best Brighton Food Festival event had to be the Three Chefs dinner at Drakes hotel. I love the idea of a food safari (whist remaining on one seat), with courses created by some of the best chefs in the area. We kicked off the meal with a really interesting hot and cold starter from Rob Jenkins from Amberly Castle. 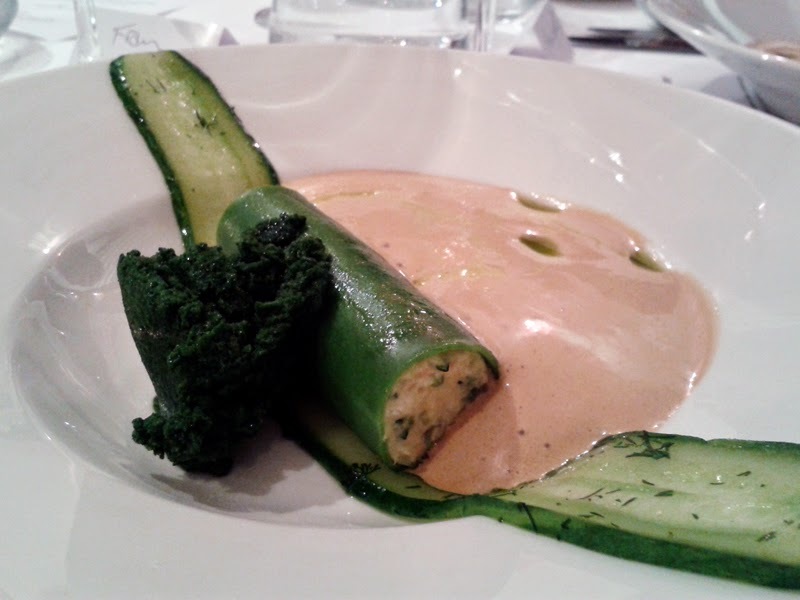 The langoustine foam was intense, a perfect basil cannelloni with langoustine meat and a fresh dill and basil sorbet. Sensational. 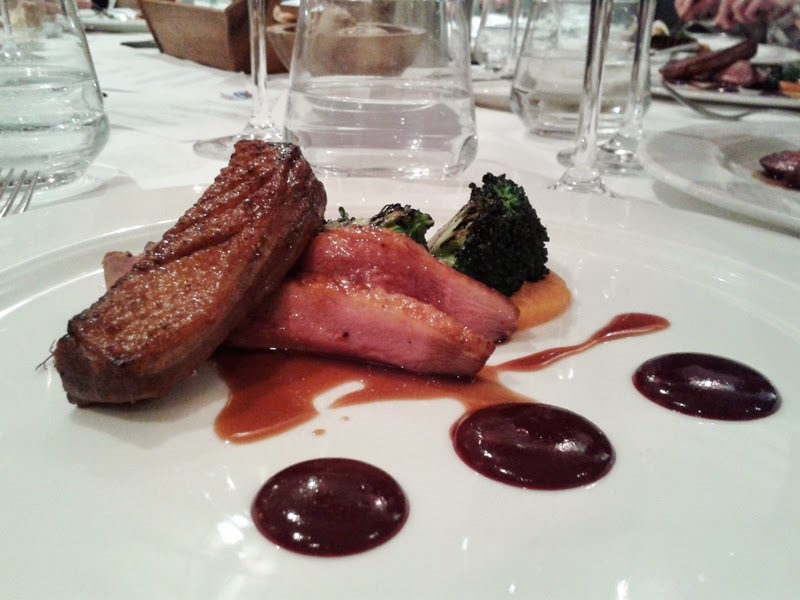 Best dish for me was the duck from Drakes own head chef Andrew MacKenzie. Quite classically flavoured with cherry gel and crunchy chargrilled broccoli, it proves you don't have to be too clever or different to create food people adore and want to eat. Sometimes I feel the diner can get a bit forgotten about. A full dinner at Drakes is now on my to-eat list. La Cave A Fromage is an essential visit for those that like to dice with their cholesterol score. 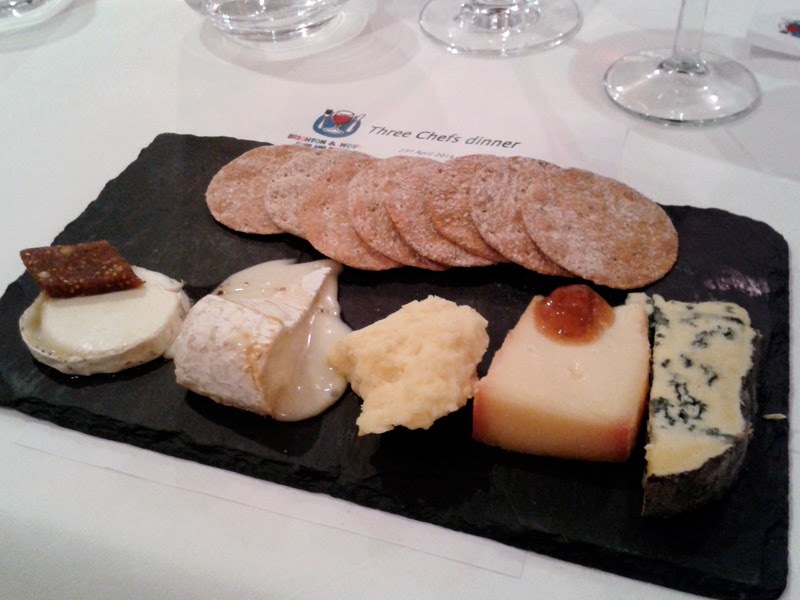 Their British cheese course was outstanding and included Golden Cross, Stinking Bishop, Lancashire bomb and Barkham Blue. My favourite was the oozing Wigmore served with lashing of truffle honey. And Julian Plumart's dessert selection? You're damn right it all tasted as good as it looked. You know how I feel about these cakes. A very memorable meal. DEFINITELY catch this event at the next festival. 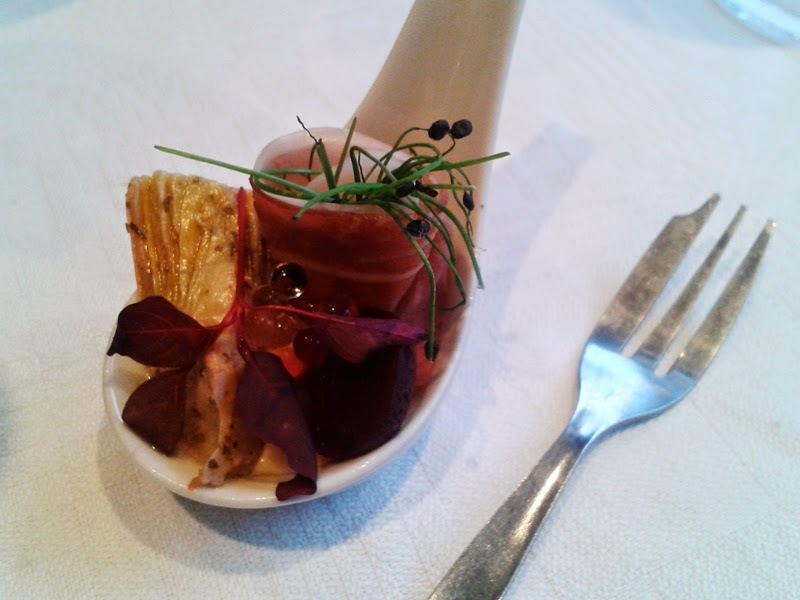 I attended the launch of the new supper club and dining experience platform, TABL. It's a brilliant site to use to discover interesting dinners from the informal to the more premium. I'll be covering the event and going through the TABL site with you in separate post. 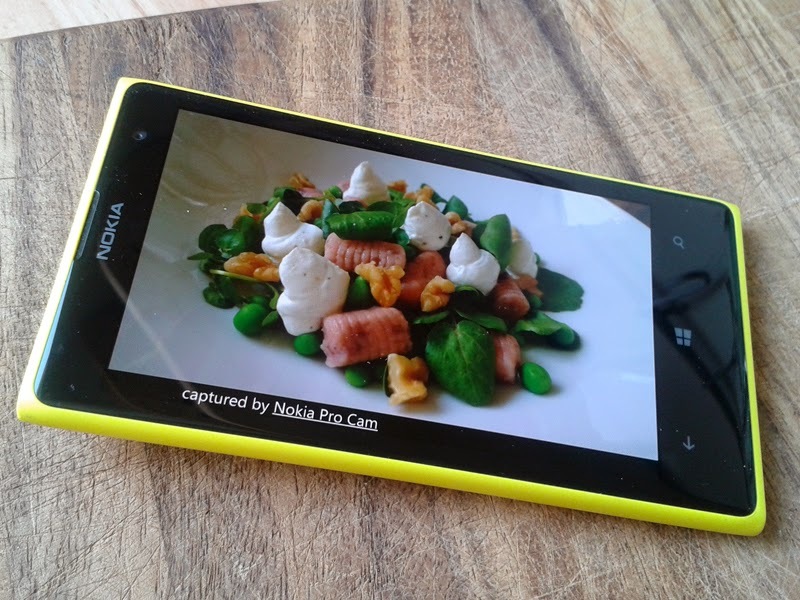 This month I've been testing the very yellow but very slick Nokia Lumia 1020 and will be posting soon as to why I think it's the food bloggers camera phone of choice. 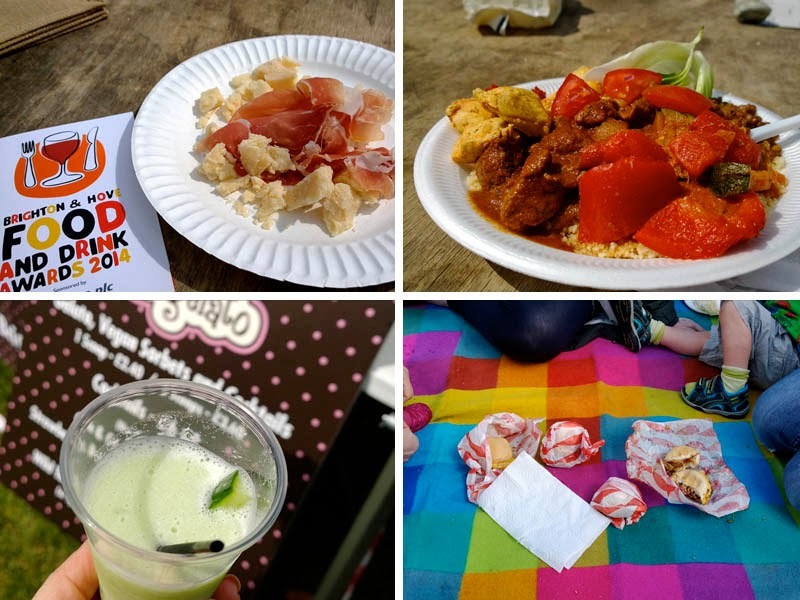 Confusingly, this is not the Brighton Food Festival, but a single event over three days on the same site on Hove Lawns. We had a great time here too. I discovered yet more boutique gin producers, ate the most incredible sous vide BBQ from BeachBBQ who will be doing supper club events via TABL which will be worth checking out. We had their steak sandwiches and Baby Foodie had two of their pig cheeks and was still talking about them as I put him to bed! I also ate a pizza from Rossopomodoro, a small London chain and it was excellent - the best pizza I've ever eaten in Brighton by a long shot. I'm going for a little lie down now.